SPF 15 or SPF 100? Or tanning oil? Living at the beach, my mom has always shoved the idea of wearing sunscreen all the time is super important. Not only for preventing skin cancer but just taking of my skin in general. Whenever I come home from the beach with the back of my legs absolutely fried she gets pissed. She gets even more pissed when my face gets burned. I always argue back with her telling her I used sunscreen, but she never believes me. One day she bought me SPF 75 and I told her I wouldn’t use it because it was “too strong” and would prevent me from getting tan. But then I heard that any SPF after 30 is basically the same as 30, so I decided to google and research around what the actual differences in levels of SPF are. According to dermatologist James M. Spencer, the SPF 30 can block up to 97% UVB rays whereas the SPF 15 can block up to 94% of UVB rays. You would of thought that there would be more of a difference since 30 doubles 15 but really there is only a 3% difference. There is also only an additional 1% difference between SPF 45 and 30, since SPF 45 only blocks about 98% of UVB rays. After seeing the minute differences in coverage between the SPF’s I insisted that my SPF 30 would work just the same as the 75 she bought me. Especially after reading the part of the article where Spencer even recommends his patients in his dermatologist office to use SPF 30. Most people think that using a higher SPF is better for you, but expert Dr. Wang has found that there are actually disadvantages to using products with very high SPF’s. For example, SPF’s of 50 or higher contain higher UVA protection. UVA protection is important, but when you have too much of it actually accelerates skin aging and can even cause skin cancers. In the short run, using high SPF’s may be beneficial to not getting a sunburn, but in the long run they increase the amount of skin-damaging radiation to your body than lower SPF’s. My friends and I go to the beach almost every day in the summer and this past summer all of us girls tried to get as tan as we could since we were all going off to colleges in cold places. We applied sunscreen but then applied loads of tanning oil over it. I’ve always wondered if tanning oil actually worked or if it was more of a placebo effect; telling myself that I was getting more tan by applying more tanning oil. Tanning oil attracts and focuses the UV rays of the sun onto your skin. The key to tanning oil is that it accelerates the process of the skin receiving the UV rays which then speed up the melanocyte’s ability to make melanin. The more melanin present in your skin, the tanner you will look, which is obviously what people want. But most people don’t know the dangers of tanning oil. Since most tanning oils consist of about SPF level 4, UV radiation have more access to damaging your skin cells and cause mutations in cell’s structure leading to skin cancer. Next summer, I think I’ll lay low on the tanning oil and stick with SPF 30. This entry was posted in Uncategorized on December 1, 2016 by Mackenzie French. I also have lived on the beach my entire life and have been told to apply sunscreen periodically during a day on the beach. I luckily have never really burnt bad, I just tan very easily even when I don’t apply sunscreen. 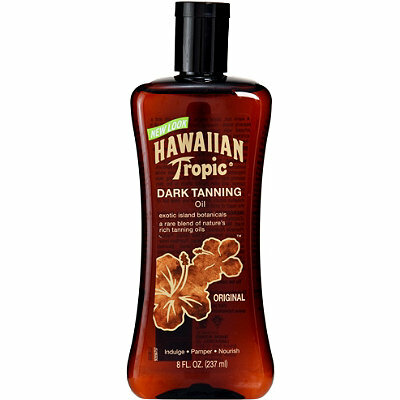 I usually use tanning oil because who doesn’t love a nice tan. But after reading your research I think I may also stick with SPF 30. However, it is intriguing to find out that higher SPF’s can actually be harmful and there is really no huge difference between SPF 15, 30, and 45. I researched for an explanation why higher SPF’s may not be very beneficial for you and came across this and found numbers 3-5 very interesting. I found this post very interesting. I love being out in the sun and having a nice tan, but it is dangerous. Just like your mom my mom did the same for me always nagging and making sure I have on enough sunscreen. I usually didn’t ever get sun burnt until one summer and I tried out tanning oil and it burnt me to a crisp. Well at least pretty close, it sure felt terrible. I had sun poising and it lasted pretty much all summer I couldn’t even enjoy being outside in the sun. Since I’ve had sun poising I don’t even wear sunscreen at all anymore because it’s like I’m prone to not getting burnt. I guess I never realized the tanning oil actually enhanced your chances of getting a tan because the oil attracts the UV rays. I just thought that it was a lesser SPF. I also heard before too that after a certain amount of SPF it all works the same. So I was very interested in your post I learned a lot from it and I will be wearing sunscreen too from now on and a lot of it I never think about the long term side affects that the sun can do to your skin. Needless to say I do not want ski cancer or wrinkles at a young age. So make sure you put your sun screen on! i seriously live on the beach in the summer time and my problem is the only thing that gets a tan is my face, unfortunately. I’ve been guilty of not wearing sunscreen because I want to get tan. I’ve been using tanning oil for awhile and just bake in the sun for hours. I love my results but after a few days of tanning my skin feel so worn out and dry. I remember one time I was on vacation in Vietnam (which is a tropical country) extremely hot every single day my mom whips out a face sunscreen that’s 110 SPF. I didn’t even know they made sunscreen with that high of an SPF. But I suffered a lot from my face tan so now I usually stick to sunless tanning and fake tans. Similar to how you spend much of your time at the beach, I have a shore house in Cape May, New Jersey and have spent the majority of my summer years soaking up sun on the beach. Also like you, I was always reminded as a child of the importance of applying sunscreen to avoid sunburn. Being that I’ve lived down the shore for so many summers, I thought that I had a pretty solid understanding of how sunscreen works. Obviously my assumption was incorrect however, because I was pretty shocked to learn that SPF 30 sunscreen only blocks about 3% more UV rays compared to SPF 15. I was even more surprised that the difference between SPF 45 and SPF 30 is only an additional 1%. of blocked UV rays. I understand that long days in the hot sun can only increase a person’s risk of developing skin cancer, but after being conditioned to believe that I was significantly more protected by a higher SPF sunscreen it’s disheartening to learn that this is not really the case. Overall, I like getting a dark summer tan as much as the next person and even though the protection of a higher SPF sunscreen is insignificant compared to how a higher SPF affects your tan, I will most likely stick with a higher SPF. In my opinion, even just a slightly greater immunity to UV rays and the risks that they pose is more important in the long term than a killer tan is. 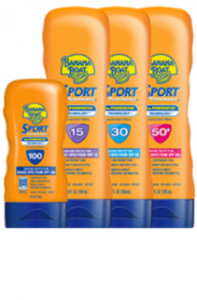 This post is really interesting because my mom is crazy about sunscreen and always makes me wear 75 SPF sunscreen. I was surprised to learn that a dermatologist recommends his patients to wear 35 SPF. I can’t wait to tell my mom that 35 SPF can block up to 97% of UVB rays. I honestly thought that 30 SPF would not be that affective in the sun. I have always known that tanning oils are not the best for your skin but I didn’t know that they give UV radiation more access to damaging your skin cells. I think that whenever anyone lays out they should never just have tanning oil on, they should also use sunscreen.